It is another year where the Pittsburgh Penguins are searching for a top-6 winger to play with either/or Sidney Crosby and Evgeni Malkin. Nevermind the fact that they already possess Patric Hornqvist, David Perron, Chris Kunitz and a hopefully soon-to-be healthy Pascal Dupuis. All facts aside, the newest name that has sparked the imaginations of the Pittsburgh faithful is American born winger Phil Kessel. Kessel, 27, has spent the last six seasons in Toronto with the Maple Leafs. Over that time, he has amassed 181 goals; a skill the Penguins would love to add to their line-up. 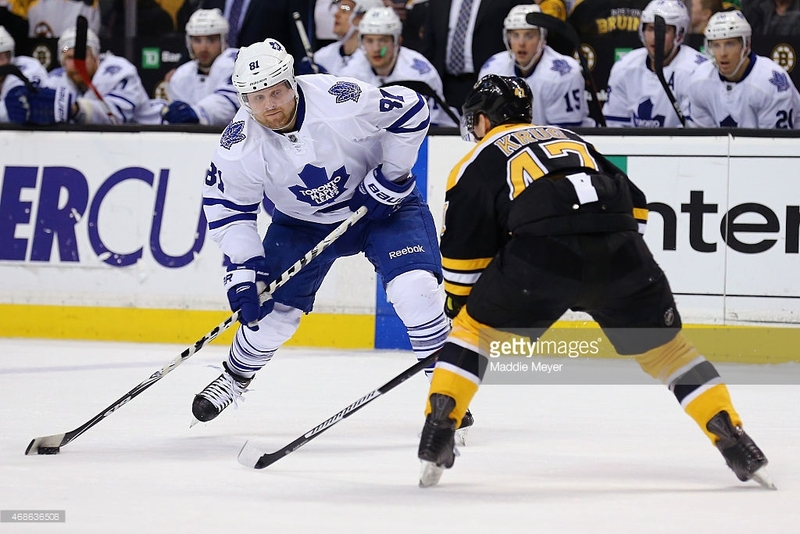 What is lost on Kessel and his career is his durability, especially as of late. He has not missed one game these past five seasons. What there is to question about Kessel is his defensive play, but more so his effort defensively. While he's not as much of a liability as some other players in the league, his play in the defensive zone can be called into question. The Penguins were one of the better defensive teams last season, so is it worth sacrificing to get a goal scorer? Also to mention is his mental stability. There were times last season where he became quite outspoken about the Toronto media. That issue does not bother me personally. The media can be vultures sometimes and in a toxic environment as Toronto was, who would not want to lash out? Him speaking his mind and speaking out does not bother me in the slightest and a change of scenery could easily change his erratic behavior, as some may call it. Lastly, let's mention the biggest factor that could prevent a Kessel to Pittsburgh trade: $8 million dollars. His cap hit would only add to the top heavy forward roster of the Penguins. It would only hamper progress in the future to add valuable pieces if needed. While it would be great to have an elite goal scoring winger, is taking on that kind of money and term wise? I see the talk of Kessel and Pittsburgh out there but Leafs don't want to retain salary. Tough to see a fit in that scenario. Now, Toronto does not have to trade the winger. They are simply fielding interest. The same goes for the Penguins in terms of how willing Toronto is to move him. What would it take to get Kessel? Of course, everyone's first instinct is to trade Chris Kunitz, Rob Scuderi and Beau Bennett. While it's nice to dream that scenario up and think Toronto would take that deal, it's highly improbable. I don't know what it would take, but I'd assume either Derrick Pouliot or Olli Maatta's name would be part of it somehow. I'm not opposed to the team looking to improve, but I do not think Kessel is the piece nor do I think the Penguins are even able to give Toronto back what they would be looking for. There are not enough assets or at least valuable ones for Toronto to make the trade. All in all, I think it is wishful thinking, but I guess we'll see in the coming months.